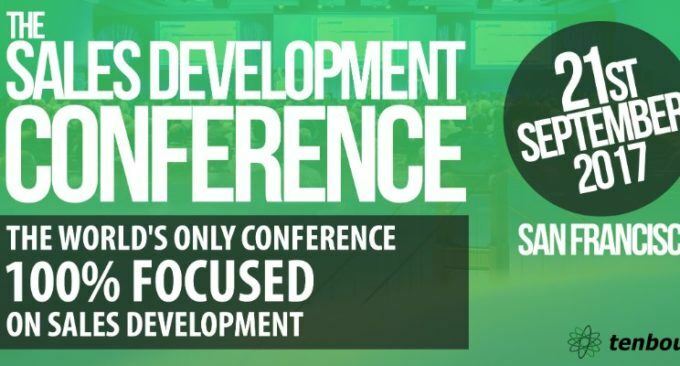 Join The Sales Development Conference: Sept 21st in SF! This article first appeared on the Sales Development Management Newsletter and our good friends over at Tenbound. Anyone who listens to the Sales Development Podcast knows I’m passionate about getting the Sales Development function the respect it deserves within organizations. Yet, in many companies (not yours, of course) the SDR team is often seen as an “entry level” job that you want to exit out of as quickly as possible, sometimes not really worth investing in or focusing on, since it’s considered transitory. I think that whole thought process is totally broken. On both sides. It’s 2017. The buyers have changed. The technology has changed. Performance expectations have gone way, way up. The result of all this old school thinking becomes robotic spamming, burnt-out SDRs, high SDR attrition, annoyed prospects, disappointed executives. Public shamings on Linkedin… usually by Sales and Marketing execs, no less! Here’s my view: unless your product sells itself, Sales Development is critical to the success of an organization. It should NOT be a bus stop or afterthought. It should be a key strategy. It’s new sales meetings, new pipeline and new closed/won revenue. It’s market testing. It’s your future talent bench. It needs serious focus, investment and commitment by both executives and practitioner SDRs. It needs to be architected, iterated, trained, invested-in, and expertly managed. In short, I think we ALL need to take it a lot more seriously. If you’re in Sales Development, my advice is this: don’t wait around for this atmosphere to change. Invest in yourself, and start elevating the profession right now. And don’t write off Sales Development as a career choice. Here’s why. I predict forward thinking companies will start to take Sales Development very, very seriously in the coming years. There are already some companies out there who have built their success on Sales Development, and there will be more. If you don’t think there’s an emerging career path in Sales Development, check out this job recently posted by Splunk. I don’t know much about Splunk (other than it’s got a cool name) but I know it’s a successful company and I know by posting this, they care about Sales Development. For people thinking there’s no future in Sales Development; take a close look at that job. Or this one. Or perhaps this one. Just by looking at these you can tell they are big money jobs with major juice at a great companies. Or listen to the career paths of some of the people who have been on the Sales Development Podcast. Very lucrative and successful. Another prediction, there will be a lot more opportunities like this in the future. You absolutely can make a career in Sales Development, if you become an expert. You can then leverage supply and demand. There are very, very few out there right now. I get calls weekly by employers desperate for good Sales Development Managers. Mostly, I have to say “sorry, I don’t know any who are looking right now”. So how can we start correcting this? Want to take it to the next level? What are you doing to elevate our profession? Leave it in the comments!